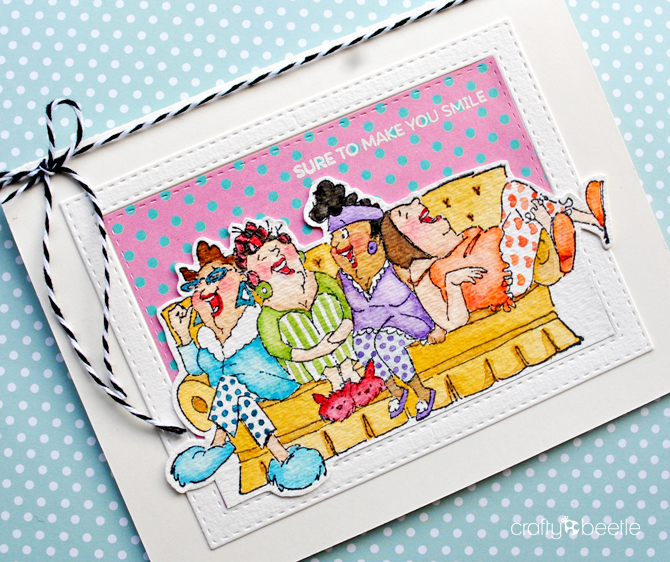 This stamp from Art Impressions is simply hilarious! 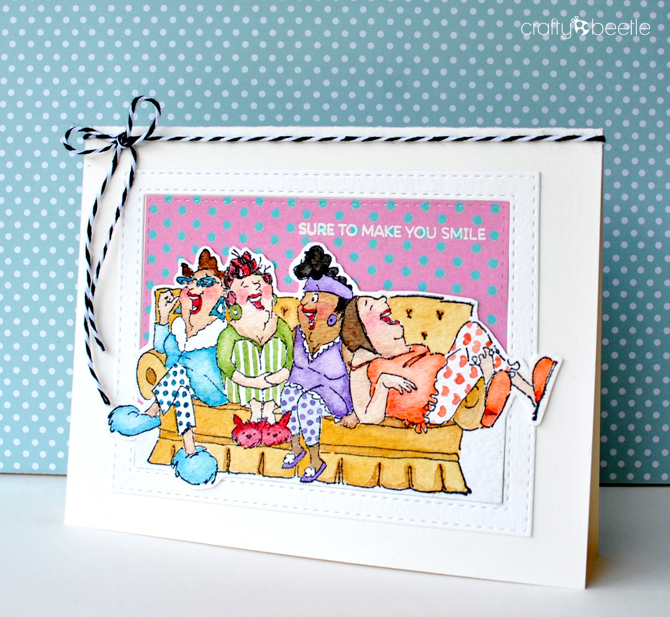 This week's challenge is WE’RE GOING DOTTY and also showcasing Art Impressions products! Couldn't wait to do some colouring on this image. Thanks for dropping by. OML! I love their pajama pants. Gorgeous colouring, Brinda! LOVE your card. 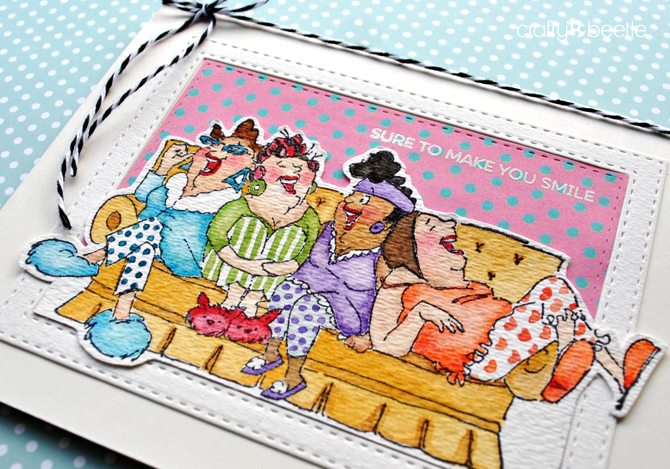 Thanks for playing along Simon Says Stamp Going Dotty Challenge.